The foods to avoid in the Paleo (or cave man) diet are ones that wreak havoc on your health and sabotage weight-loss goals. Unapproved Paleo foods create hormonal imbalances, trigger inflammation, and make you age more quickly. Grains contain toxic antinutrients — substances that prevent your body from absorbing the nutrients it needs and that create autoimmune and digestive irritation — and inflammatory proteins like gluten. They damage your gut lining and cause irritation throughout the body. 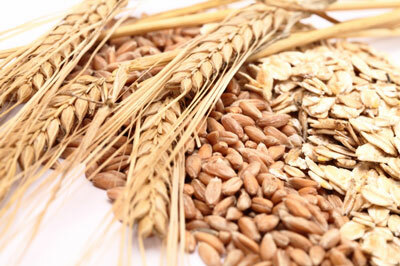 Many of these grains also cause the body to release insulin, which triggers fat storage. Foods that come in brightly colored boxes or crinkly, vacuum-sealed bags are generally not Paleo-approved. Candy, baked goods, junk food, and prepackaged meals are usually loaded with chemicals, additives, sugar, and other ingredients you’ll find on the Paleo “no” list. Eating Paleo means eating real, natural food, so foods produced in a lab or a factory are out. Although beans have a reputation for being healthful, they contain many of the same antinutrients that grains do. Even with pre-soaking, sprouting, or fermenting, beans are a high-carbohydrate food that triggers insulin release and are difficult for your body to digest. Snow peas, sugar snap peas, and green beans are the exception to the no-beans rule because those vegetables are green and are more pod than pea. Humans are the only species that drink the milk of another animal, and the only species that continue to drink milk past the weaning period. Cow’s milk is designed to help calves grow quickly so they can sprint away from predators, not for humans to consume throughout their lives. In addition, processed cow’s milk contains growth hormones, bacteria, and antibiotics and also produces a strong insulin response. One exception to the no-dairy rule is clarified butter from a cow that’s organically and grass-fed. This type of butter is an excellent source of healthy fat. White potatoes are like the useless, black sheep of the vegetable family, and they deserve a shady reputation. Because of their high sugar and starch content, they produce a big insulin response, and they also contain antinutrients that can cause intestinal distress. Be extra careful not to eat potatoes that appear to be turning green because it’s an indication of an increased level of solanine and chaconine. These substances occur in nature to ward off insects, disease, and predators by making the food bitter, which also makes them toxic to you. So if your potatoes taste bitter or are starting to turn green, definitely take them off the menu! Eliminating all sugar from your diet is impossible. After all, the carbohydrates in healthy vegetables and fruits are, essentially, sugar. For optimal health and weight loss, you need to eliminate added sugars from your diet, including sugar in all its (deliciously sweet) forms and artificial sweeteners. Sugar is sugar is sugar, but after your 30-Day Reset step of the Paleo diet, you can enjoy organic, raw honey from time to time. All types of sugar, including high-quality honey, produce an insulin response in your body. But once in a while, a little honey can be a sweet treat as part of a healthy Paleo diet. These oils are often billed as “healthy,” but they’re not naturally occurring fats, so they require significant processing to become edible. They’re prone to turning rancid and creating free radicals in your body, making them very inflammatory.